Map: Based on a map by the Portuguese from a larger world map. The information on it suggests they had compiled both the French Explorers Jean Francois Marie de Surville’s information with that of Cooks. 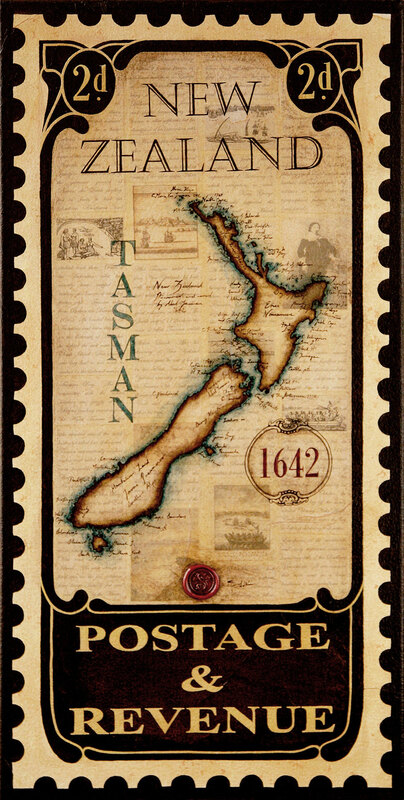 I chose this map because Tasman’s map was only a small line marking a part of the central east coast of New Zealand. The name of this continent was terra Australis incognita. Abel Janszoon Tasman was sent by the governor general of Batvia to find this Southern Continent and establish trade. Parts of the Australian coast had already been mapped but nothing was known of what lay further east. Tasman sailed from Batvia via Mauritius in 1642. He landed briefly on Tasmania and days later he sighted the west coast of the South Island. The first encounter with the natives however was grizzly. Tasman sailed off to find a more hospitable area. That Bay was then named Murderers Bay, later Golden Bay. Tasman named this new land Straten Landt however after a few years it became known as Novo Zeelandia. From this point onward New Zealand can be found in many of the older maps.